Sign up and receive a Free Gift with your first order! 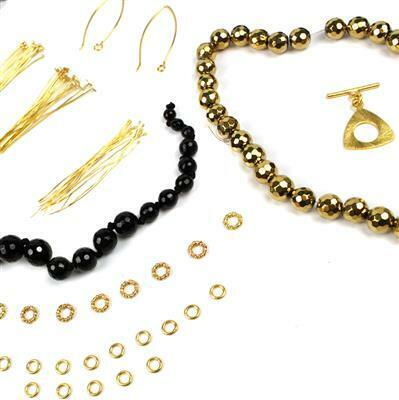 Don't worry we will guide you through the basics to get you started making your own beautiful jewellery. Everyone is welcome in the Jewellery Making family! Starting a new hobby can be daunting and everyone learns differently, so how would you like to start your journey? Watch some of our easy to follow video tutorials to learn how to make simple earrings, necklaces and bracelets. Or maybe even join us at the JM studios for a workshop? 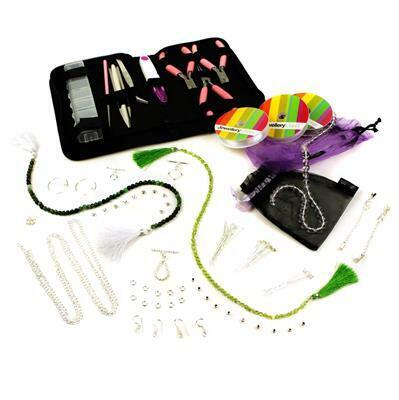 If you prefer to simply have a go then check out our Starter Kits, they contain everything you need including instructions, tools, gemstones and clasps allowing you to create your very first set of earrings, necklace and bracelet. 165cts Pink Colour Dyed Quartz Rounds. 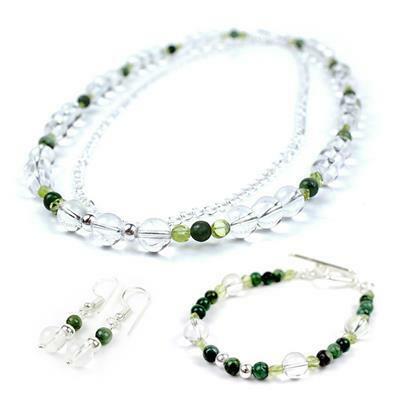 Get started with this Coral, Aventurine and Quartz Beginners Jewellery Kit today. Simply download this PDF to follow the easy step-by-step instructions to help you create beautiful a beautiful necklace, bracelet or a pair of earrings. 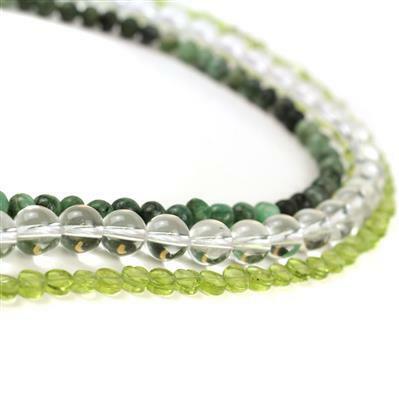 If you would like to take it one step further follow our step-by-step video tutorial to create another unique piece using your Gemstone Jewellery Kit. 38cts Peridot Graduated Plain Buttons. 55cts Shaded Emerald Graduated Rounds. 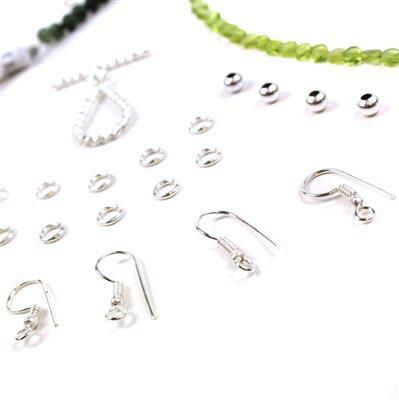 Get started with this Emerald, Peridot & Quartz Beginners Jewellery Kit today. Simply download this PDF to follow the easy step-by-step instructions to help you create beautiful a beautiful necklace, bracelet or a pair of earrings. If you would like to take it one step further follow our step-by-step video tutorial to create another unique piece using your Gemstone Jewellery Kit. 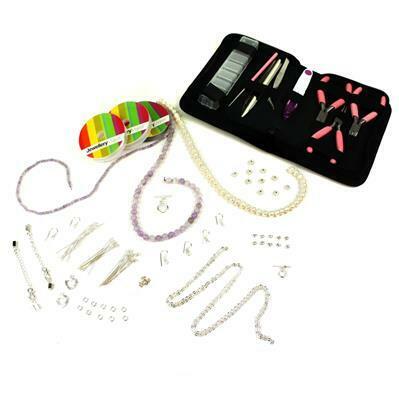 Get started with this Shell Pearl Beginners Jewellery Kit today. Simply download this PDF to follow the easy step-by-step instructions to help you create beautiful a beautiful necklace, bracelet or a pair of earrings. 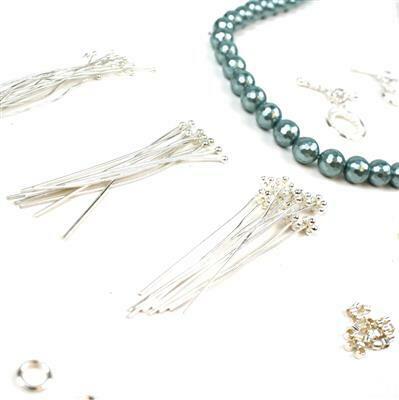 If you would like to take it one step further follow our step-by-step video tutorial to create another unique piece using your Pearl Jewellery Kit. 280cts Black Agate Graduated Faceted Rounds. 440cts Golden Colour Coated Haematite Faceted Rounds. Gold Plated Copper Essential Finding Kit. 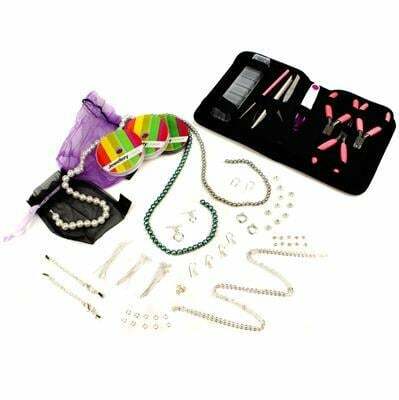 Get started with this Agate and Haematite Beginners Jewellery Kit today. Simply download this PDF to follow the easy step-by-step instructions to help you create beautiful a beautiful necklace, bracelet or a pair of earrings. If you would like to take it one step further follow our step-by-step video tutorial to create another unique piece using your Gemstone Jewellery Kit. 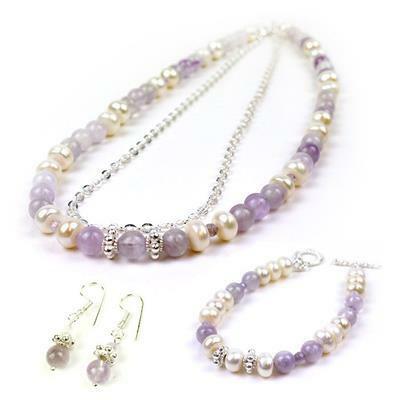 Get started with this Pearl and Amethyst Beginners Jewellery Kit today. Simply download this PDF to follow the easy step-by-step instructions to help you create beautiful a beautiful necklace, bracelet or a pair of earrings. 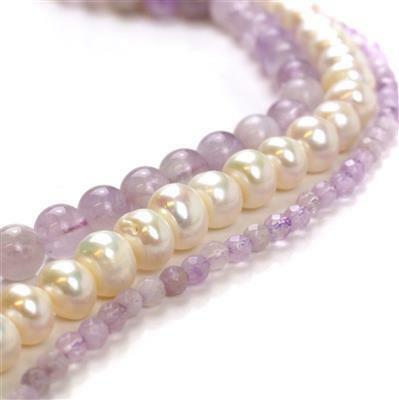 If you would like to take it one step further follow our step-by-step video tutorial to create another unique piece using your Gemstone and Pearl Jewellery Kit. Welcome to JewelleryMaker, a dedicated jewellery making channel and online supplies website, giving you all you’ll need to Get Started making jewellery. Starting something new can be an overwhelming experience for many people. Here at JewelleryMaker we’ve created a zone that is specifically catered to customers who are new to making jewellery. Here we have basic, easy to follow information to Get Started. 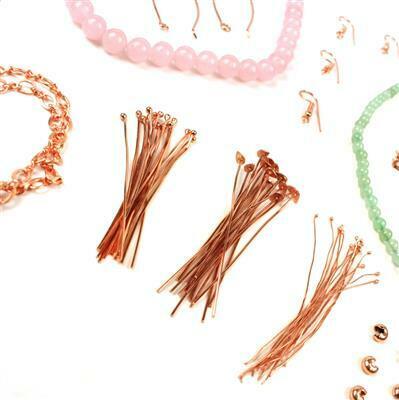 Explore our basic range of jewellery making Starter Kits complete with step by step instructions. They are the perfect starting point to help you build your confidence. Combine the learning information from our Tutorial Videos to encourage you to step out of your comfort zone, and surprise yourself by creating unique jewellery pieces. 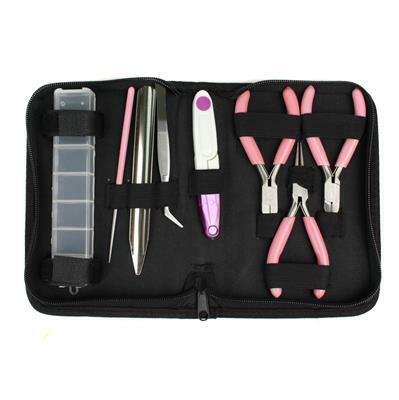 Browse our range of jewellery making tools ideal to get you started or to further develop your jewellery making skills. A great place to start is our basic tool kit. 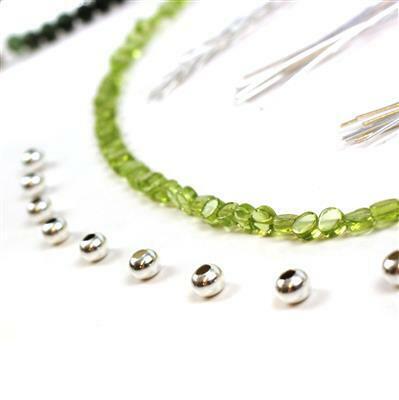 Threading material is an essential component for beginners through to advanced jewellery makers. 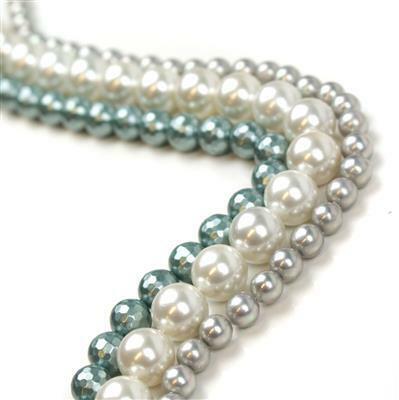 We stock various threading materials to suit all types of jewellery such as tiger tail, elastic or monofilament. 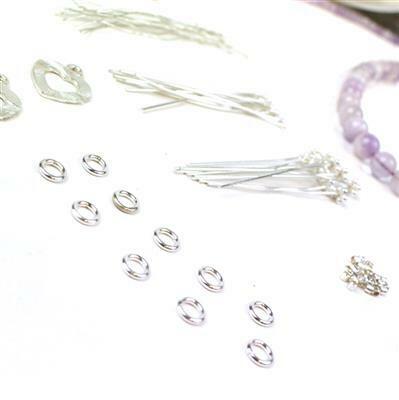 The finishing touches that turn a string of gemstones into a complete piece of jewellery are known as 'findings', browse our selection of clasps, connectors and fixings to finish off your jewellery pieces.